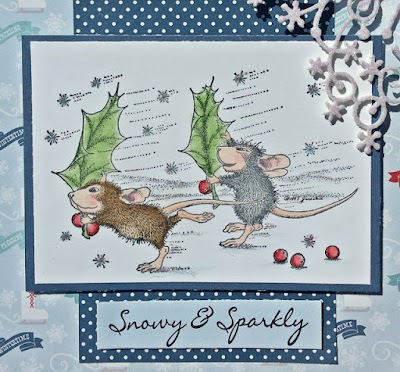 Hos Dorte: Christmas in July, a DT card for HM&F! and papers from Echo Park- 'I Love Winter'. 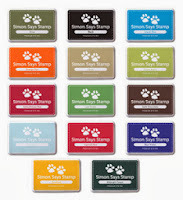 is made with a die from Memory Box. This is so fun and whimsical!! Gorgeous card!!! What an adorable card Dot! I love the mix of papers in the background and the image is so sweet. Fun holiday card for sure, Dorte. Love the image, papers, and that sweet corner die. Just lovely. Such a cute and fun card, adorable image and love the corner die. Stunning and cute christmas card. 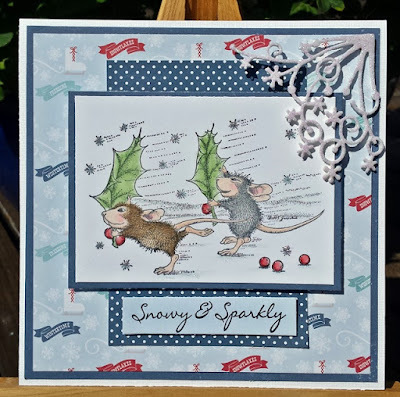 Hi Dorte lol these guys are having fun with the holly leaves super design fab take on the option theme ..fab work teamie .. This is wonderful and adorable, Dot ! I'm delighted to see you playing in our Anything Goes challenge at QKR Stampede this week. Good luck in the draw. An adorable card. Thank you for joining in the QKR Stampede challenge. 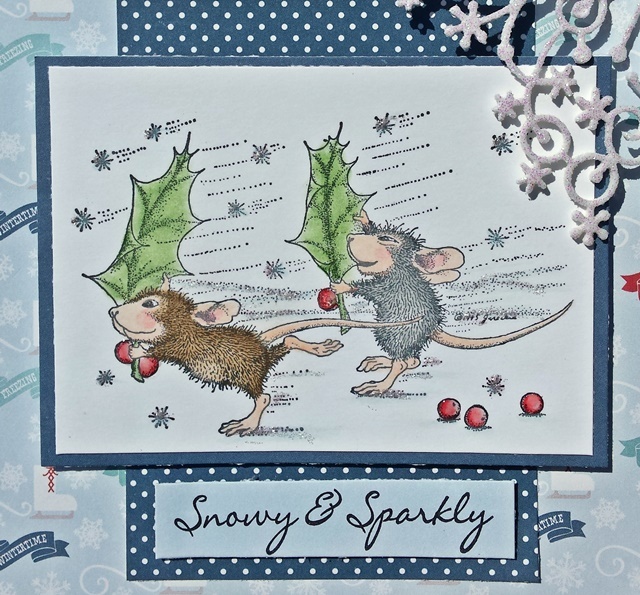 These two certainly look windswept... super card! Awww, super cute christmas card! This is so beautiful!! The image is so sweet!! I love the layes!! Thanks so much for playing along at Scrapy Land! !